Wow-have I been a bad blogger! No posts since Valentine's Day-yikes! I'd love to say it's because I've been super busy which would mean super productive-alas, NO! I've been super busy but not so productive!! I continue on LAWL and have been doing really well-I'm into week 7 and weighed in yesterday and I'm down a total of 13.6 lbs-rock on! They also did my measurements and I've lost 7.75 inches-wooohooo!! I'm a little worried, when I lose 5 more lbs I get bumped down a plan which means a little less food. Of course I want to keep losing but I haven't been hungry on the purple plan and I'm worried I will be on the gold plan-we'll just have to wait and see. Last week was western week at Natalia's school which ended on Friday with all the kiddos coming dressed up and having Texas Chili for lunch. Well Natalia's cowboy boots from last year don't fit anymore so we headed to Pink's Western Warehouse to get some new ones. She picked some hot pink boots with stars on the side that light up when she walks and absolutely LOVES them. 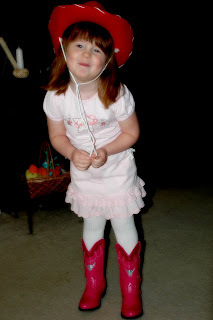 She also just had to have a red cowboy hat like Jessie's from Toy Story-hmmm pink boots and red hat...!??! Whatever makes her happy! 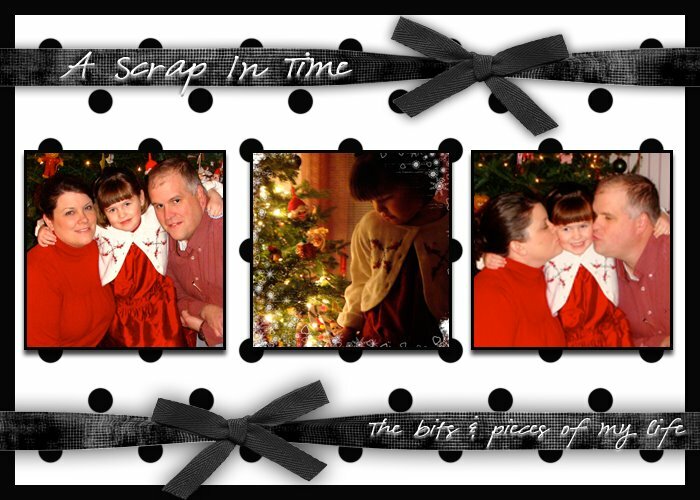 Thankfully her western outfit from last year still fits-the result is the picture above-isn't she cute!?!??! This summer's VBS is a western theme so I know the boots, hat and outfit (if she can still fit into it then) will get lots of use!! !